The band will perform live from the Outdoor Stage during Coachella’s most distinguished surroundings…the spectacular desert sunset. No other festival in the world delivers this stunning natural ambience. Picture a gorgeous orange of the Coachella Valley sunset as it casts the surrounding mountains purple framed by palm trees and set to the music of their Domino album Battle Lines. 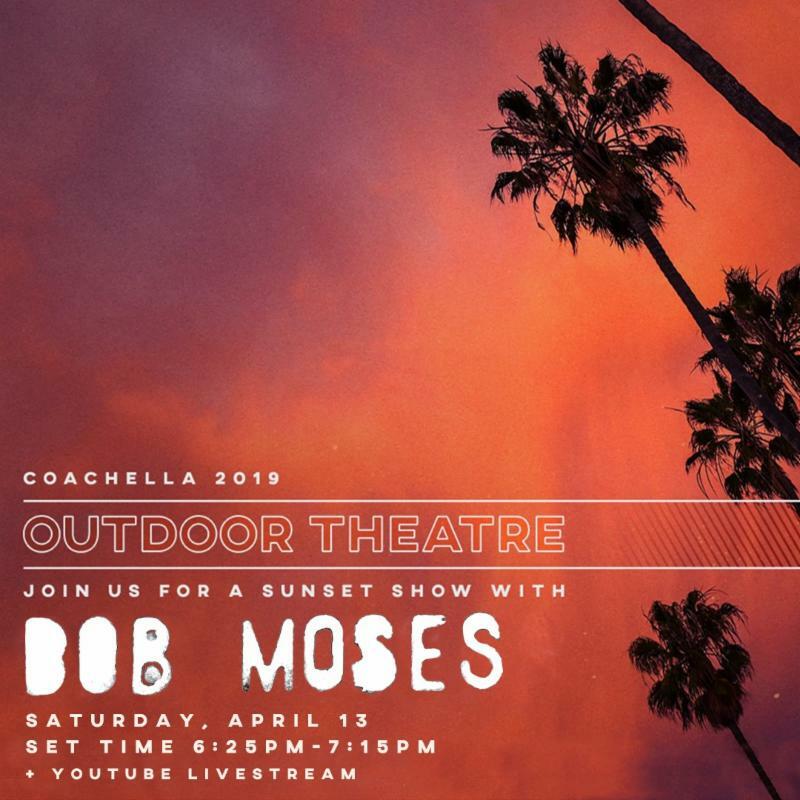 Recently touted in Billboard Dance’s Top 100 artists for 2019, BOB MOSES return to Coachella this year in support of their Domino album Battle Lines. This is proving to be a major festival year for BOB MOSES, who is Vancouver-bred, Los Angeles-based Tom Howie and Jimmy Vallance. The Canadian band kick off their run at Coachella with slots confirmed on Saturday, April 14 and 20. Other major festivals set to feature them include Governors Ball, Outside Lands, Firefly, Electric Forest and Osheaga, just to name a few. Battle Lines spawned the hit single “Back Down,” led to a performance on Ellen, was named one of Billboard’s Best Electronic Albums of 2018and culminated in a sold- out show at the Palladium in their adopted hometown of Los Angeles. Current single “Enough To Believe” is also available in a remix package featuring reworks by Jamie Jones, Eagles & Butterflies and Iain Howie. Battle Lines is out now digitally here.